Everyone gets to choose a meal each week and since my daughter had her wisdom teeth removed, she chose this soft foods choice. 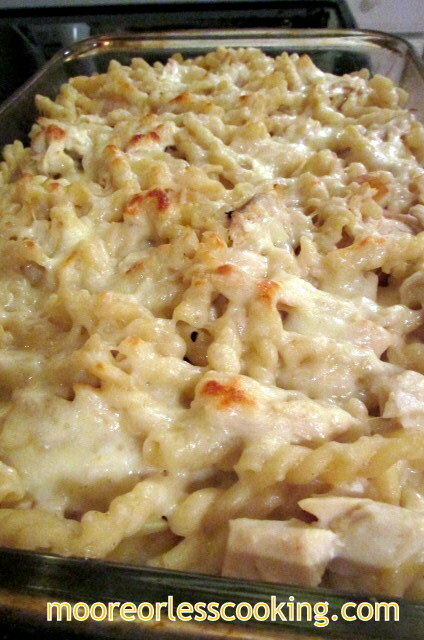 Chicken Alfredo Pasta is perfect comfort food when you aren’t feeling that well. Everyone loved it and the whole casserole dish disappeared quickly! 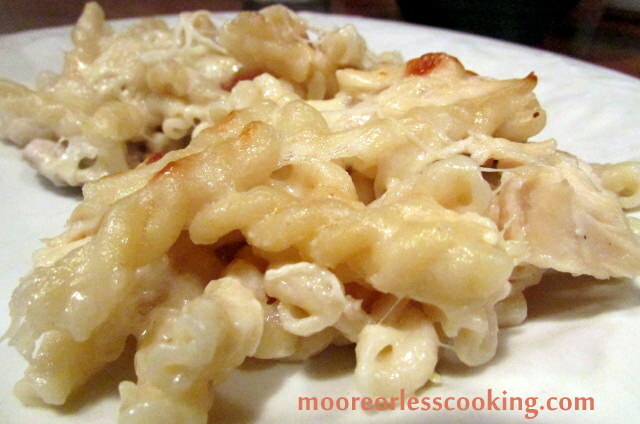 Just bake up a couple chicken breasts, use any shape pasta you like and make a cheesy yummy casserole! Serve with a delicious green salad! Cook pasta in a large stockpot of well-salted boiling according to package instructions. Drain. Return pasta to the stockpot and add chicken and alfredo sauce. Gently toss to combine until the pasta is evenly coated. Pour half of the pasta into a greased 9x13-inch baking dish. Sprinkle evenly with 1 cup of cheese. Layer the remaining half of the pasta evenly on top. Sprinkle evenly with the remaining 1/2 cup of cheese and 1/2 cup Parmesan Cheese. Oh my daughter is going to love this recipe! Thank you for posting the recipe for the alfredo sauce. I would so rather make my own than buy a jar of the stuff… just seems more healthy to me. YUM!!! not just waiting for a sale.